I can only display here work that I own or have been authorized to display. I have a number of other projects under Non-Disclosure Agreements, and more UX design and Web Development I have made for my current and former employers, which I cannot disclose publicly. My name is Alan Mandujano, but my friends call me MB. I am a Web Developer and UX Designer born in Mexico City. I work at Schlumberger Ltd. as a Senior Solutions Architect, and I have a number of personal pet projects. I also do freelance work in my free time, but I mostly use it to play videogames. My favorite color is green. When I was 12 I learned HTML and I decided I wanted to become a Web Developer. I graduated in 2007 as a Computer Systems Engineer from ITESM, Campus Estado de Mexico. I have certifications as a Java developer, Adobe Flex/AIR Expert, ScrumMaster, Project Manager, OPC Systems Integrator, and even a Diploma in Digital Photography and Video from SAE Institute. I also have a number of oil industry related certifications you have never heard of, and probably don't care about. This site was built using HTML5, CSS with LESS, JQuery and Bootstrap, and the illustrations were created in Adobe Fireworks. In 1999 my friends and I created a website devoted to all things Pokémon, that would go on to become the largest community of its kind in Latin America. 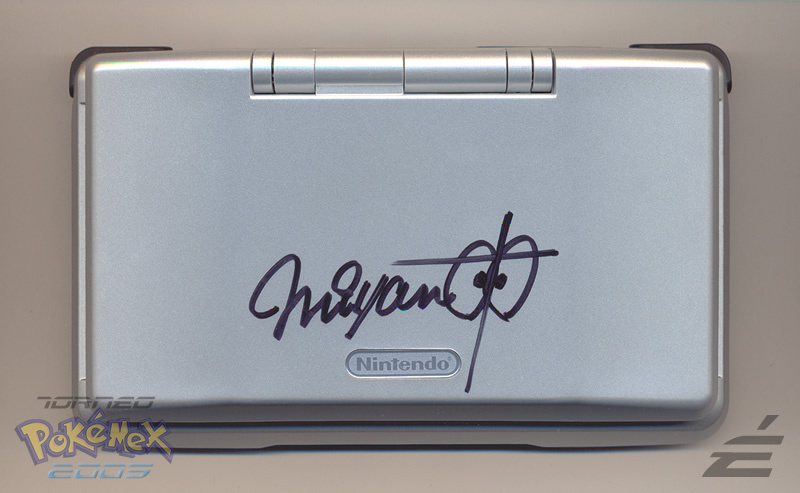 A year after being founded we already had sponsors for a large-scale tournament and by 2005 we had grown large enough to ask Nintendo of America for a Nintendo DS signed by Shigeru Miyamoto himself to give away as a prize for our annual Pokémon tournament. Not bad for a bunch of fourteen-year-olds. Today we still stand strong, having over 50,000 fans in our Facebook page, and promoting Pokémon tournaments in Mexico and Latin America. It has also made me appear on TV once or twice. In 2006, after feeling limited about topics that we could write about in Pokemex.com, my friend Grow and I founded Ultima Vida, a website devoted to gaming in general. Turns out it is easier to succeed as a niche Pokémon website than as a copy-paste Gaming news site. So we gave up the copy-pasting, and relaunched with a shiny and hard-to-get domain in 2011 as UV.VG. Today UV stands as our all-purpose gaming blog, with a focus in live video gaming streaming. I like designing logos, sometimes doing it just for fun. Since 1999 I have been designing logos for myself, friends and companies, a few of which I am slightly less embarrassed than others. For a fewer still, I have actually been paid! In 2011, with the release of the Nintendo 3DS, I created an iOS application that replaces the AR cards that come bundled with the console. This allows the user to bring their cards with them at all time and not risking losing them. It also allows for the creation of experimental "Windowed" AR Cards, where any image or photo can be selected as background. The app has sold over 10,000 units. In 2014, Pokémex participated in the Electronic Game Show in Mexico City, the largest consumer gaming expo in Latin America. The main activity in our booth involved the use of this app, which lets you create a "Gym Badge" and challenge other players, and be challenged by other players in order to earn your badge. The players with most badges won at the end of each day, earned promotional prizes. I developed these apps in whatever spare time I had for two weeks in September 2014. In 2014 I studied a Diploma course in Photography and Digital Video, in SAE Institute Mexico. The final project was a short film titled "Killing Love", a collaborative effort where all students shared production duties. A trailer created by me based on my personal final cut is available on Vimeo. Link: "Killing Love" Trailer, in Vimeo.